Plum City – (AbelDanger.net). 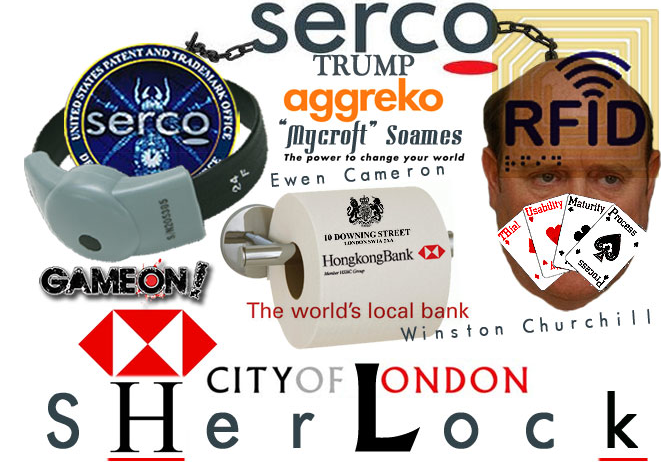 United States Marine Field McConnell has linked Serco director Maureen Baginski’s Crossed Keys simulation track­ing (‘Sim-Track’) services for tri-phibious (sea, air and land) war-fighters to a GPS hack of the steering system on the MV Sewol ferry which was allegedly sunk on April 16, 2014 by Serco saboteurs operating out of HMAS Watson, Sydney, Australia. McConnell alleges that S­­­erco – fined in U.K. for the fraudulent tagging and deployment of Crossed Keys prisoners – developed simulation tracking devices for the remote hacking and sabotage of passenger-carrying transport systems in the ‘90s while Baginski was serving as Intelligence Director of the National Security Agency (NSA) and Nicholas Soames was serving as Defence Minister (1994-1997) in the U.K. Government of John Major. “The sinking of the MV Sewol (Korean: 세월호 침몰 사고; Hanja: 世越號沉沒事故) occurred on 16 April 2014 en route to Jeju from Incheon. The South Korean ferry capsized while carrying 476 people, mostly secondary school students from Danwon High School (Ansan City). The 6,825-ton vessel sent a distress signal from about 2.7 kilometres (1.7 mi) off Gwanmaedo Island at 08:58 Korea Standard Time (23:58 UTC, 15 April 2014). JINDO, South Korea (CNN) —The actions of the captain and crew of the sunken ferry Sewol “are akin to murder,” South Korean President Park Geun-hye said Monday. Her comments come after a radio transcript released a day earlier suggested that passengers aboard the doomed South Korean ferry couldn’t reach lifeboats to escape because the ship tilted so quickly that it left many of them unable to move. “Please notify the coast guard. Our ship is in danger. The ship is rolling right now,” a crew member on the ship first tells authorities in a dramatic conversation that took place while the Sewol ferry was sinking last week. “Serco Systems is a systems integration and complex project management provider, delivering engineering and logistics support, asset management, training and technical services to the defence, paramilitary and national security markets. At HMAS Watson in Sydney, the Training Authority‒Marine Warfare (TAMW) Professional Services Contract applies the highest standards of engineering, software development and technical skills to simulator-based maritime warfare training. The Royal Australian Navy’s Bridge Training Facility (BTF) features two full-mission simulators and four part-mission simulators, each offering up to 180-degree view field, which are used for navigation, command and control training. Serco instructors are embedded within the BTF to train Navy officers in controlling and manoeuvring ships in simulated warfighting environments. Scenarios are played out over two 17-week courses, held annually. The instructors are also supported by Serco’s Operational Support Officer who provides ‘Train the Trainer’ and supplementation on other courses, ranging from initial navigation to advanced navigation. Our technical staff maintain 69 training systems, including the BTF, providing periodic preventative maintenance or fault diagnostic corrective maintenance. These training systems are being used at HMA Ships Watson, Stirling and Cerberus. The Technicians also provide support, as required, to other Navy bases located in NSW. Our team of software engineers develop DIS-compliant simulation systems to extend and enhance the Royal Australian Navy training capability by either updating or delivering new training systems. (Distributed Interactive Simulation, or DIS, allows multiple simulations to combine as a large-scale exercise.) The training systems include radar, sonar, voice communications and weapons systems. Surface Warfare training for Royal Australian Navy (RAN) personnel is undertaken at HMAS WATSON in Sydney. Individual operator, command team and task group level tactical training is conducted on a variety of systems, including functional simulators, Milspec equipment and CBT suites. Most of the smaller training systems have been developed at WATSON by personnel from the RAN and Serco Australia Pty Ltd, the major on-site engineering support contractor. Even though these training systems have been developed and built in-house at very low cost, they have proven to be extremely effective for shore based operator training. This paper discusses two of the many in-house development projects completed at WATSON. Firstly, the recent development of a low cost, high fidelity emulator for the AN/SQS-56 sonar display console as fitted on the RAN’s FFG-7 Class guided missile frigates and an associated scenario generator is described. The second project discussed is the development of a medium fidelity PC based Generic Radar Display Simulator that has been designed to provide shore based radar operator instruction for training functions that previously could only be carried out at sea. Some of the lessons learned and the benefits and shortcomings experienced in using PC hardware and software development tools for these types of projects are discussed. A brief summary of the future directions for the in-house development work is also given. The first experience with low cost PC based simulators at WATSON was the in-house development of an emulated Global Positioning System (GPS) Navigation unit. The system was developed to be used in conjunction with the full motion Ship’s Bridge Simulator that is used for Navigation and Officer of the Watch training. The system consisted of a standard Intel 386 PC fitted with a touch screen, emulating the Keypad and Display of a Magnavox GPS Navigation unit. The PC was interfaced to the Bridge Simulator computer via an RS-232 9600 baud simplex serial line, enabling ship’s position to be displayed in Latitude/Longitude, as well as providing all the navigational calculations available on the actual GPS. McConnell has been directed by Abel Danger Global to offer expert witness services to plaintiffs who may decide to sue for damages in re Serco’s apparent use of Crossed Keys simulation track­ing (‘Sim-Track’) services in the alleged GPS hacks of tri-phibious passenger-transport systems resulting in thousands of wrongful deaths since Serco launched the program in the mid-1990s.